More entries = more chances to win! Good luck! No purchase is necessary. Void where prohibited by law and subject to all federal, state, and local laws. Odds of winning are dependent on the number of entries submitted. Open to all who are 18 or older at the date of entry, except employees and their families of iDrop News and each of its affiliates. This giveaway is limited to residents of the United States, United Kingdom, Canada, and Australia. 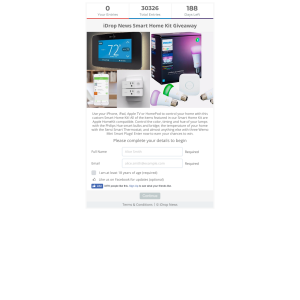 This giveaway is facilitated and sponsored by iDrop News. An acknowledgment email will be sent to the winner's Gleam login email address. All winners must claim their prize within a week of acknowledgment.